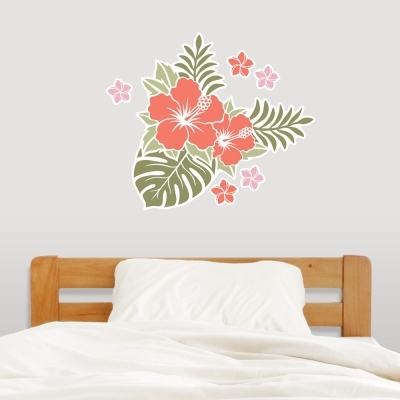 Nature lovers will surely feast on the beauty of our blooming Hawaiian Flowers Wall Decal. Adorn your wall with this lovely bloom and see the room come alive with the vibrant colors. This kit comes with a 24" wide x 23" tall large flower bunch, and ten 4" wide x 4" tall individual flowers.